When ReRe Fierce thinks of drag shows, she thinks of drag racing. 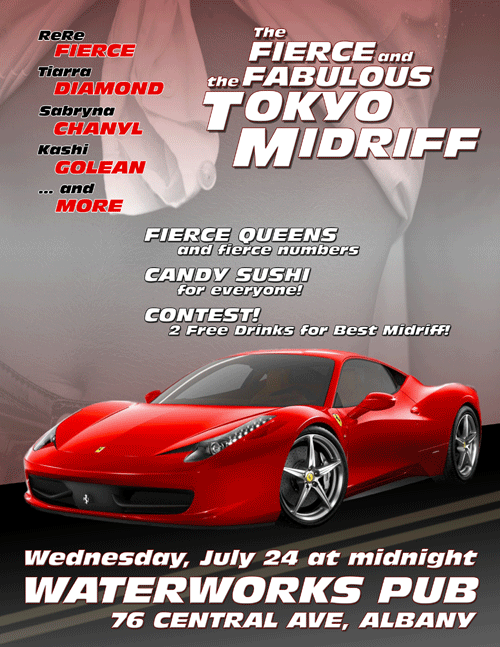 This is the flyer for her third event, themed around the Fast and the Furious franchise. Published November 13, 2014 at 500 × 647 in Flyer – Fierce and the Fabulous: Tokyo Midriff Drag Show.